When I heard that there was a company creating materials with the power of organic technology I was intrigued. With so much innovation taking place in the world of fabrics, my curiosity was aroused. I wanted to know who they were? How they did it? Why they did it? And when they foresaw us implementing this promising fabric in our everyday products? Founded by Philip Ross, Sophia Wang and Eddie Pavlu, the California startup MyCoWorks is made up of a team of creative engineers, designers, and scientists. 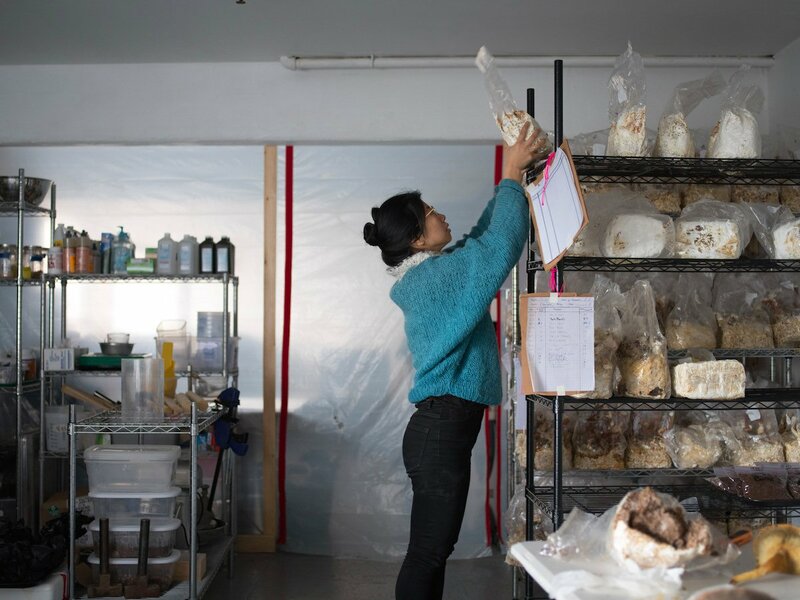 Together, their distinctive disciplines gave birth to a rapidly renewable natural resource called mycelium. “Fungi is the industrial material of the future”. 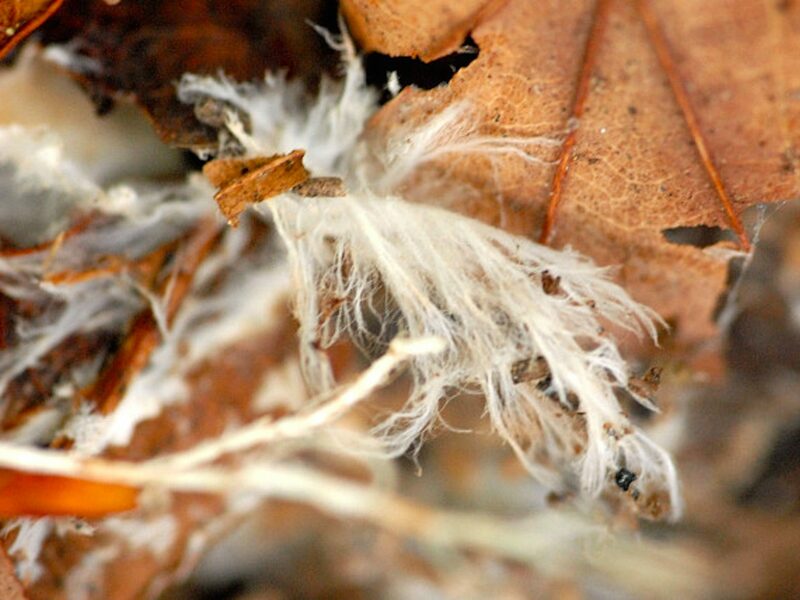 So what does mycelium actually bring to the table? Well, MyCoWorks have presented mycelium as the solution to replace the resource intensive product, leather. Relying on nature’s best tools, they have created a new kind of leather that they can grow rapidly from myceliumin using a carbon-negative process. Their custom-engineered material is sustainable, versatile, and animal–free. On MyCoWorks new leather, Dr. Amanda Parkes, Chief Technology and Research at Manufacture NY shared, “I believe we can solve all the world’s problems with mycelium biology”. Feeling and performing like leather, MyCoWork’s material is engineered to perform. Like conventional leathers, the end product is strong, flexible, durable and water resistant. MyCoWork’s leather is made from natural fibers that breath like the leather we are all used to. When it comes to customization, MyCoWorks have made it possible to grow textures and other features right into the material, including being versatile enough so that it can be grown to nearly any size and shape. When it comes to the process, the sustainable product has been created using a closed-loop process, that uses abundant, natural fibers to create 100‰ biodegradable materials, making this an infinitely renewable technology. What makes MyCoWork’s leather material worthy of everyone’s attention is the fact that it takes a fraction of the time and resources to grow in comparison to the processes applied in making leather from animal hides. Showing such promise, the optimistic founders hope to use their material to build houses, batteries, cars, apparel, and even spaceships. With such unshakeable belief in their product, it should come as no surprise that the folks at MyCoWork predict that the “fungi is the industrial material of the future”.